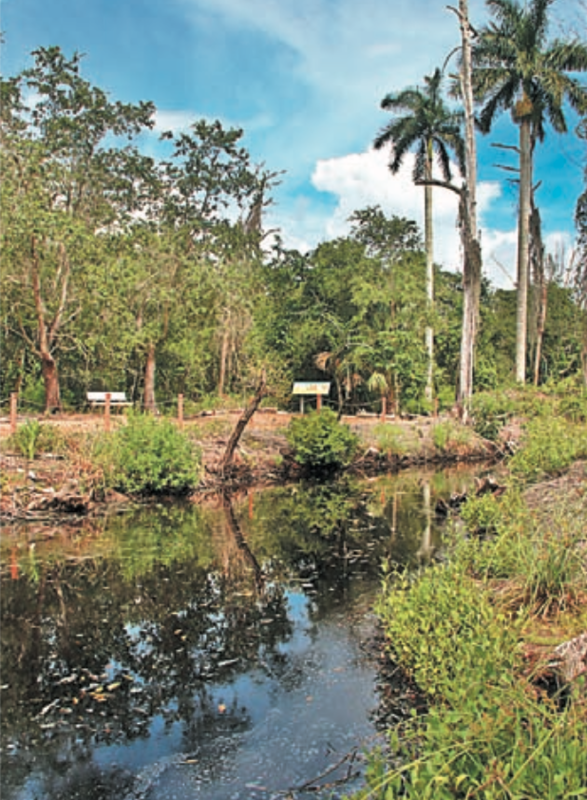 On March 25 at Calusa Heritage Day, we opened an extended Calusa Heritage Trail allowing visitors to view the intact portion of the Smith (burial) Mound, see a portion of the Calusa-excavated waterway that encircled the mound, and walk to Low Mound, a midden-mound dating to 300 AD. 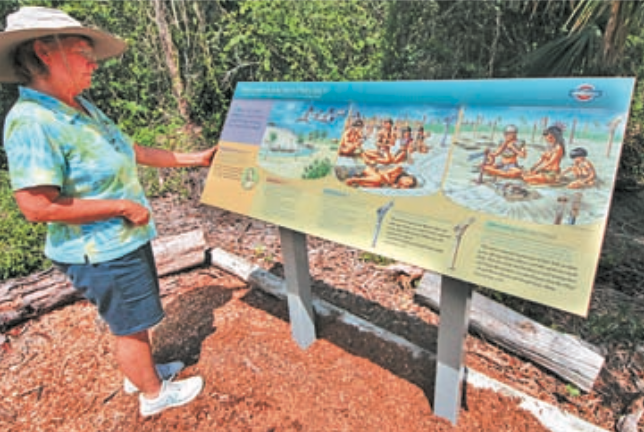 Now, thanks to funding from the Florida Humanities Council, interpretive signs have been created and were installed in June. 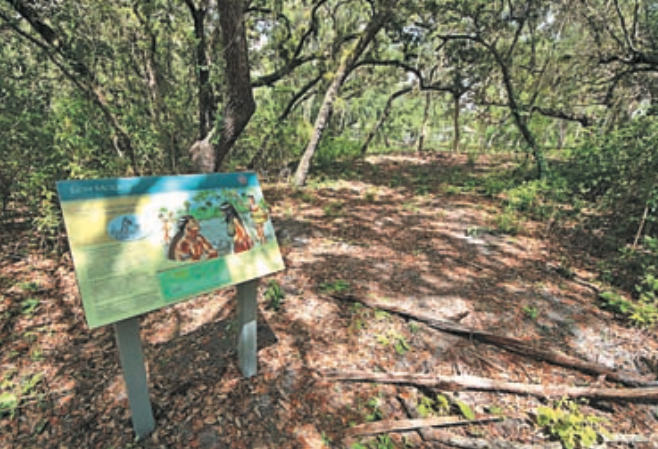 Merald Clark created the illustrations which, along with photographs and text from archaeological research and historic documents, provide information about Pineland’s people and their landscapes. At the base of the Smith Mound, we share the story of Captain John Smith who in 1926 saved the portion of the mound seen today from destruction and we show a photograph of the intact mound taken in 1895 by Frank Hamilton Cushing of the Smithsonian Institution. It reminds us we can all be preservation heroes. Once inside a gate and adjacent to a bench dedicated “In Memory of the Calusa People,” Clark’s artwork and the words of Spanish priests are included on a sign reminding us that death, loss, grief and related cultural practices are universal for all people. At Low Mound, located farther inland and near an ancient shoreline, we describe how archaeological research informs us about the landscapes of the second century, how sea level rises of the past are different from those we are experiencing today, and why we are concerned about those changes. If you have not walked the extension, we hope to see you at the Trail soon and when you go please provide your comments so we can continue to improve our interpretation.